Montpelier, VT - Vermont legislative leaders today pledged action to help blunt negative impacts of the federal government shutdown. House Speaker Mitzi Johnson and Senate Pro Tempore Tim Ashe highlighted community and financial resources available to citizens and businesses in need, as citizen concerns mount amid fears the shutdown could last long enough to strain Vermont citizens and businesses. The federal government shutdown began on December 22, 2018. Now, approaching four weeks of partial closures, daily reports have begun to describe the hardship caused to Vermont’s impacted federal workforce, citizens, farms, and businesses. Speaker Johnson and Pro Tem Ashe have been in close contact with Vermont State Treasurer Beth Pearce, who has been monitoring the status of State funds throughout the federal shutdown. At a press conference at the State House today, Speaker Johnson and Pro Tem Ashe were joined by representatives of Vermont’s banking and credit union community, as well as Avery Schwenk of Hermit Thrush Brewery in Brattleboro, who expressed frustration that the federal shutdown was impacting Vermont breweries and other businesses. Speaker Johnson and Pro Tem Ashe encouraged impacted Vermonters to look at community service providers, local financial institutions, and at resources, such as those compiled on Vermont211, (http://www.vermont211.org/ or dial 211 or 1-866-652-4636), if they need to access services during this challenging time. The legislative leaders also reminded Vermonters that their offices are available as resources, should citizens wish to provide feedback on policies or proposals to address emerging needs caused by the federal shutdown. “The federal shutdown is a very serious situation for Vermont. 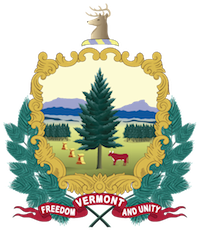 For Vermonters whose pay or business is in question due to dysfunction in Washington DC, we say this to you -- The State of Vermont is open for business,” Johnson and Ashe concluded.